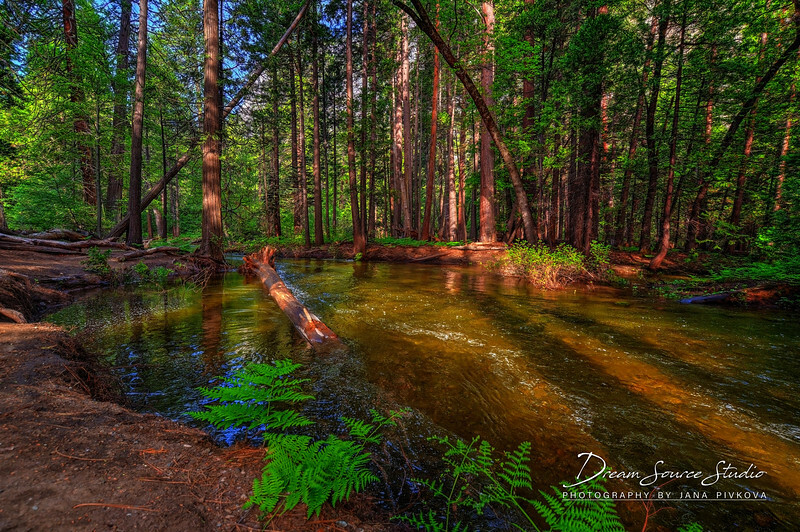 Post-Processing Software Basics - Dream Source Studio | Photography by J.P. If you are a digital camera user, you know that at least some form of post-processing software is required in order to produce final JPEG photos. Whether it's software built into your camera or a third-party platform such as Adobe, without it there would be no digital photography. Post-processing software is the equivalent of a dark room, except there's no need for film negatives, no fumbling in a dark closet (R.I.P. my memories & $$! ) and no bins full of chemicals. Each digital camera manufacturer such as Nikon, Canon, Fuji, Sony, etc. provide their own free software for downloading, processing and organizing RAW, JPEG and TIFF files on your computer. Some people are happy with their SOOC (straight out of camera ) JPEG results and choose not to use any of the software that's provided. Others suffer a dilemma of whether they should use the free software provided, or if they should pay extra for third party software such as Adobe Lightroom, Adobe Photoshop, DxO PhotoLab, Capture One Pro and so on. With so many choices out there, how do you decide what you need? Well, it will depend on the type of photography you like to do. Would you like to create detailed HDR (high dynamic range ) images? Do you plan to make large prints? Are you a perfectionist who needs the best in noise reduction for your low light photos, or maybe you want to have the ability to stitch together large panoramic images? Perhaps you enjoy portrait photography and need to use light skin retouching for your subjects. Whatever it is you plan to shoot, there is software that either specializes in one of these areas, or software that can do it all (albeit not always as good as the specialized programs, and vice versa ). View NX-i gives me some basic controls over my RAW files. 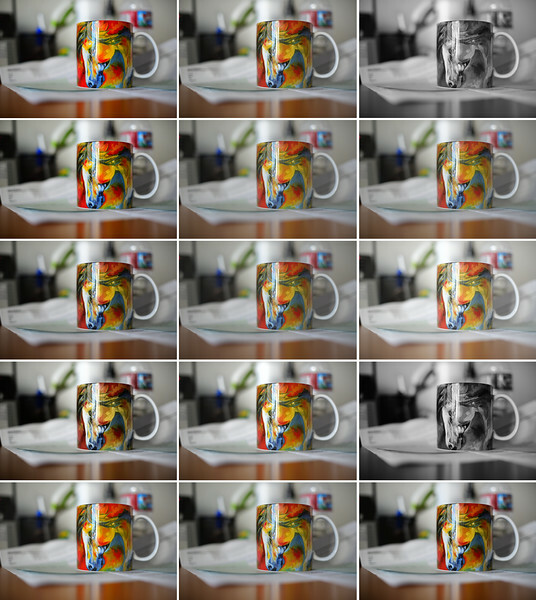 I use it to organize my files, to delete out-of-focus shots, to rate photos based on how good they are, adjust some basic things such as sharpness, saturation and so forth, and perhaps export to JPEG if I'm happy with the photos as they are. Capture NX-D expands on View NX-i by providing me with even more control over my RAW files. It's a long list of extra features that I won't go into now, but basically if there is a bigger change I need to make that I can't make in View NX-i (such as cloning out dust spots or applying noise reduction for example ), I will open the file in Capture NX-D to finish the job. These "picture controls" can be customized further by adjusting the sharpness, clarity, saturation, contrast, hue & toning. Basically, these picture controls take your RAW files and process them in-camera into JPEGs, using your chosen or default settings. If you were wondering why your JPEGs look bland, take a look at your in-camera picture controls and make the changes needed. The factory picture control settings might be too toned-down. If the provided in-camera picture controls are not enough, Nikon gave us the ability to create our own custom picture controls with the "Picture Control Utility" software, which can then be saved to an SD, CF or XQD card and uploaded to our Nikon cameras. If you want to shoot JPEG only and you feel confident that your settings will get you the kind of results that don't need further processing, this is the software for you. If you shoot RAW only, the Picture Control Utility can still have it's uses when you want to save a little bit of time on post-processing. You can adjust your in-camera picture controls to your liking and use View NX-i or Capture NX-D to import your RAW files to your computer. The software will read and apply all those basic adjustments to your files, at which point you can either make changes, or use the software to export selected (or all) RAW files to JPEG. The first and obvious advantage of free software is that it's free. The second advantage is that it's able to read all the in-camera picture control settings and apply them to your RAW files. In my experience it is also more accurate at reading the in-camera white balance and gives me those beautiful Nikon colors that I may not be able to attain right off the bat in software such as Adobe Lightroom. Unfortunately Nikon does not collaborate with third-party software companies, these software developers have to reverse-engineer and decipher the proprietary RAW files. They try their best to match the basic camera picture controls, but the rest is up to you. It can cause the image to look quite different than what you saw on the back of your camera screen. Nikon's View NX-i and Capture NX-D software is great, but it can have a steep learning curve and doesn't allow as much freedom with files as other paid software might. View NX-i is simple enough to use & understand, but Capture NX-D is not quite as intuitive. As many features as it has (and may even do a better job than paid software in some cases ), it cannot quite compare to other paid software in speed, organization, ease of use and various processing possibilities such as using gradient and brush filters. If you enjoy post-processing, if you like to push your RAW files, if you need to apply watermarks on export, if you need to apply filters in specific areas of the photo, if you want more control over cloning out undesired elements in the photo and so forth, sometimes it's worth paying extra to have those features. There are many third party programs available for your choosing, all ranging in price and capabilities. Some are free, some cost a one-time fee, others require a monthly subscription. Some are very specialized and some offer a one-stop broad spectrum of features. You will have to decide which one meets your needs best. Adobe Lightroom Classic and Photoshop CC are the most popular choice of software among both hobbyist and professional photographers. Adobe has a lot of experience in the world of photography and with their $10 per month subscription plan, it won't break the bank. Adobe offers a ton of features for non-destructive (completely reversible ) post-processing along with a good system for keeping your files organized. They offer print services, tagging, watermarking, processing HDR (multiple exposure high dynamic range photos ), panoramas, smart cloning and healing brushes, radial and gradient filters, as well as many presets and so forth. It would take a lot of typing to list all the features. For most people, Adobe Lightroom Classic has everything they'd ever need in a photography program. I've been using Lightroom for many years now and it's been great, but I've also strayed to other software in order to explore the possibilities. I'm always in the search for best possible results, so I frequently download free trials of various software in order to find out if I'm missing out on anything special. I recommend you do the same. DxO PhotoLab Elite has not been around as long as Adobe, their features and interface are not quite as refined as Adobe in my opinion, but their newer PhotoLab Elite package certainly packs a punch. What I absolutely LOVE about DxO PhotoLab Elite is it's "Prime" noise reduction technology and sharpening tools. It does the best job I've ever seen any software do at both smoothing out noisy images and retaining fine details at the same time. Other programs such as Adobe will smooth out the noise, but also all the fine details. Their sharpening introduces more noise, which can be very frustrating when you are trying to maintain sharpness as well as low noise. DxO's "Prime" noise reduction is not perfect by any means, but when compared to other software out there, currently it does the best job that I've seen. In fact it is so good, I ended up purchasing the software just for those two features alone. Most of the photos you see here on my website have been processed using DxO PhotoLab Elite. I have used Capture One Pro 30 day trials on numerous occasions. Any time a new version comes out, I download it and use it for a few days to see if I like it more than Adobe Lightroom. Though the interface always bothered me for a reason I can't pinpoint and I had trouble adjusting to it, many photographers swear by it. In many ways it is a lot like Adobe Lightroom when it comes to available features, but the price is fairly steep. Phase One asks for $20 per month for their subscription, whereas Adobe asks for $9.99 for a Lightroom Classic, Lightroom CC & Photoshop bundle. If a subscription model is not for you, Adobe Lightroom 6 stand-alone version is half the price of Capture One Pro 11! GIMP is a free photo manipulation program, similar to Adobe Photoshop. I have never used this software because I've always had access to Adobe Photoshop, but have heard good things about it from other people. It has been around for many, many years and by now it should be quite refined. It is worth exploring. Their description reads; "GIMP is a cross-platform image editor available for GNU/Linux, OS X, Windows and more operating systems. It is free software, you can change its source code and distribute your changes. Whether you are a graphic designer, photographer, illustrator, or scientist, GIMP provides you with sophisticated tools to get your job done. You can further enhance your productivity with GIMP thanks to many customization options and 3rd party plugins." Once again I recommend you download the free trial for all programs before making a purchase. 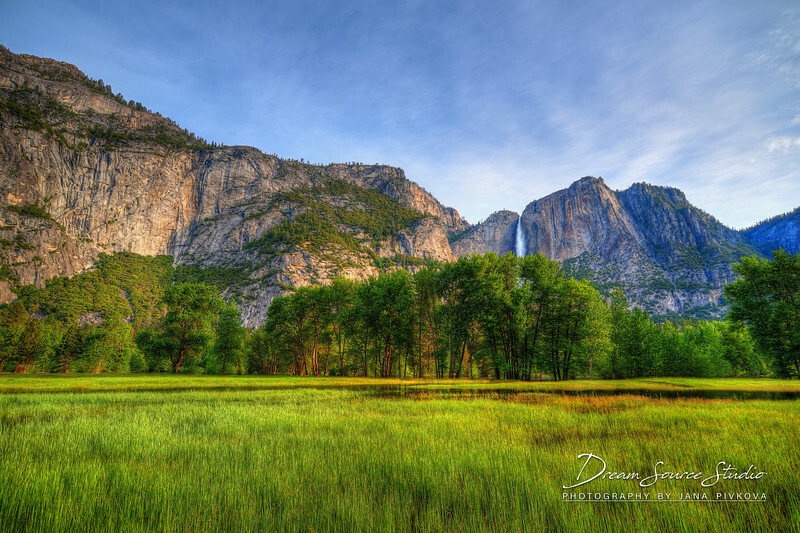 Yosemite Valley, CA | Nikon D750 + Nikkor 18-35mm f/3.5-4.5G | Processed using Photomatix Pro 6 and DxO PhotoLab Elite. There are many specialized programs available for download, meant to excel at specific tasks. Whether it's HDR, portraiture, de-noising, sharpening, enlarging, stacking or stitching panoramas, many software developers either offer different packages for different tasks, or they offer bundles. I'm only going to list a couple here that I personally use, because there are too many to choose from. An internet search for portrait, stacking, panorama, HDR, enlarging, star trails or de-noising software will yield dozens upon dozens of results, some more reputable than others. Photomatix Pro 6.0 is a very specialized software meant for creating high dynamic range images by combining multiple (bracketed) exposures into one and using many different sliders to bring up shadows, pull back highlights, adjust mid-tones and so forth. It also contains many presets that can then be adjusted to your liking. 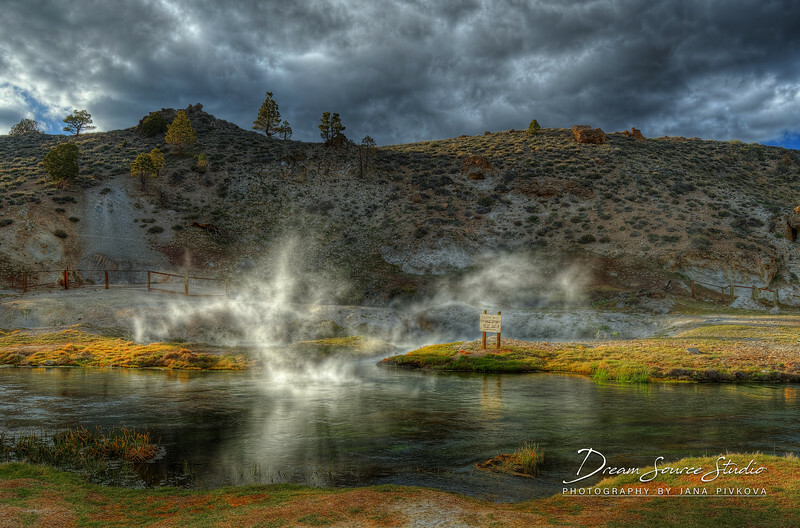 If you plan to do a lot of HDR photography, this program is worth exploring. If you do a lot of portrait photography and need skin retouching software that's fairly easy to use, PT Portrait 4 and SkinFiner work great. They are also reasonably-priced. Although Adobe Photoshop is more than capable of carrying out these functions, it has a much higher learning curve and may take longer to make the same adjustments. I have used Portrait Professional in the past, but only as a free trial. When I was deciding between portrait programs, the cost of Portrait Professional was much higher and more than double the cost of PT Portrait. Currently Portrait Professional offers three different versions, all competitively priced for what they do. I recommend you try and compare both before making the purchase. If you own Adobe Lightroom or Adobe Photoshop, a lot of specialized software such as Photomatix Pro, Topaz DeNoise, PT Portrait and Portrait Professional offer plug-ins. A plug-in means that you can import your RAW files into Lightroom, make your adjustments and then export any photo to one of these external programs with one click. You can make your adjustments in the external program and send it back to Lightroom or Photoshop to finish up any final touches. While it is true that our photos should require as little adjustment out of the camera as possible, most of us are not perfect and we will make mistakes along the way. Maybe we underexposed, or maybe the photos require that little bit of extra 'pop', or maybe we want to achieve something that is not possible to achieve in-camera, and that's where post-processing software comes into play. Have you ever looked at a well-known landscape photographer's gallery and wondered how he or she achieved such a perfect balance between highlights and shadows? Why is it that any time you photograph a high-contrast landscape, you get blown out highlights or dark shadows that obliterate any detail in that area of the image? Is there something wrong with your camera???? It can be a frustrating and discouraging experience. While modern-day digital cameras have gotten very good at judging proper exposure, they're still not able to produce perfectly balanced images without the help of some form of software. That's where the photographer's skills and post-processing software come in. One way to achieve a perfect balance between highlights and shadows is to use "bracketing" to take two to nine different exposures of the same scene. For best results this should be done on a sturdy, quality tripod, but can also be done while hand-holding (as long as the shutter speed for the slowest exposure is still fast enough, so that camera shake or movement is not introduced into the image ). The goal is to produce the sharpest images possible with as little movement as possible and then combining/blending them in post-processing software to form a single image. Shooting RAW will give the best IQ end-result, but JPEGs will work as well. The examples below illustrate a high contrast situation where a single photo would have failed to record what I saw with my own eyes. That's why I decided to shoot five different exposures of the scene, from very bright to very dark, and combined all five images into one using the HDR program, Photomatix Pro 6.0. Some cameras come with an "HDR" mode, which allows you to take multiple images and combines them for you in-camera with no need to do anything else. It's a great option for those who do not want to spend minutes or hours at their computers creating their HDR images manually. 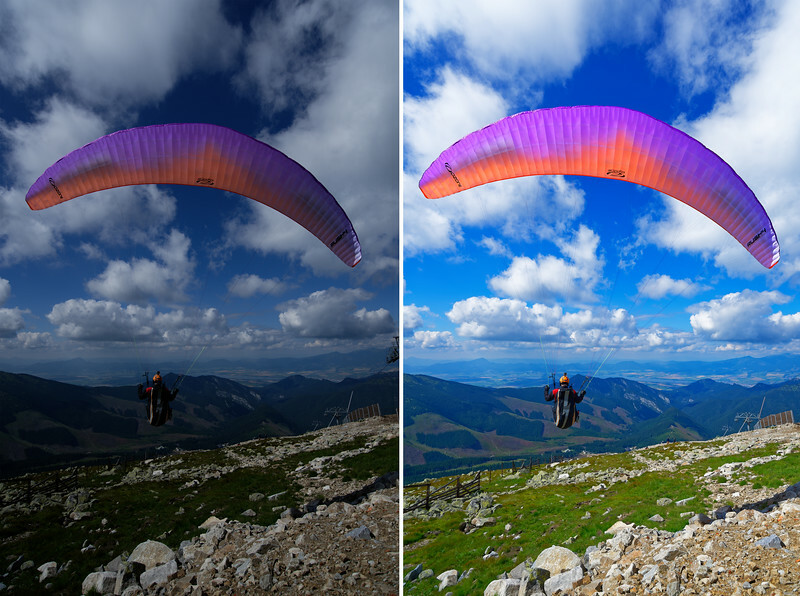 The results are usually good, but a skilled photographer can do better by using one of the HDR software options available. As with anything in life, HDR can either be beneficial or overdone, especially by those just getting started, experimenting and feeling a little too enthusiastic with the sliders. The goal is to find a good balance between revealing both shadow and highlight details without making the image look too flat or overcooked, unless you're going for a more artistic approach. In the end it will always come down to that saying "Beauty is in the eye of the beholder." Sometimes, whether intentional or not, your images may come out under or overexposed. If you're still learning and frequently end up with under or overexposed images, shooting RAW and post-processing the file can save a lot of details that would have otherwise been lost if shot in JPEG. You can use software such as Lightroom, Capture One Pro, Capture NX-D or DxO PhotoLab to recover lost highlights and shadows. In my case, I like to use "Highlight-weighed" metering with my Nikon bodies, which automatically prevents me from blowing highlights in the scene. That means most of my photos end up underexposed by -0.3 to -0.7 EV (exposure value ). Since I know that it is easier to recover shadows in post than highlights, I like to keep it that way,... but it also means that I sometimes need to lift the exposure during post to get a better version of the image. The shot below was underexposed by quite a bit due to the white clouds in the sky. The camera exposed for the brightness of the clouds, which also means it underexposed the rest of the scene. Thanks to great software, I was able to recover the underexposed areas and preserve the cloud highlights at the same time. Creating panoramas can be a great way to capture the entire landscape before you, without having to carry an ultra-wide angle lens. Sometimes combining multiple images to form a panorama can be a better alternative to shooting a single image, especially when you wish to print large and want to capture more fine detail to fill a greater surface area. This panorama below of Mono Lake, CA, was shot with a telephoto lens, the Nikkor 200-500mm f/5.6E ED VR, at 200mm. 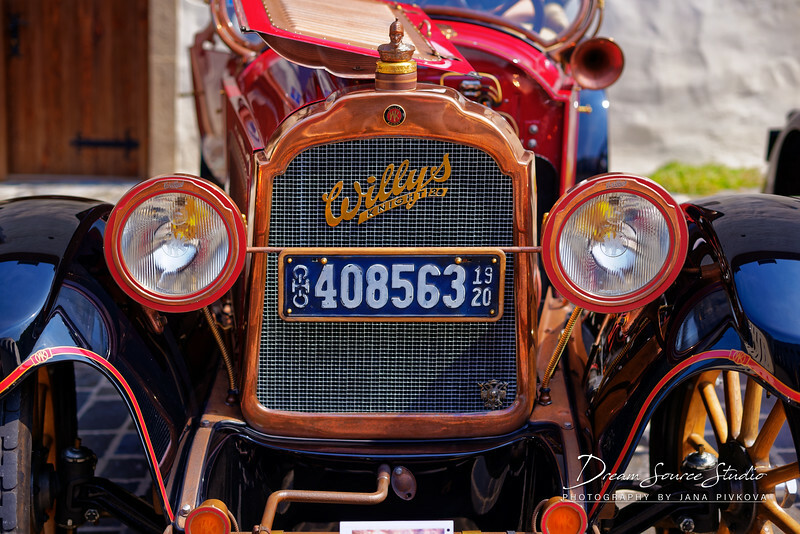 It is composed of several consecutive images and stitched together in Adobe Lightroom Classic. Crooked photos due to user error and wide angle lens distortion can be a problem at times, especially when shooting interiors or architecture. While manufacturers install lens distortion software into the camera, it can't always fix these issues as thoroughly as post-processing software. In the example below, the Nikkor 18-35mm f/3.5-4.5G creates some distortion due to the wider angle of view. While I didn't necessarily need to fix the perpendicular lines, the horizon definitely seemed to need some adjustment. "DxO Viewpoint 3" came to my rescue by allowing me to correct most of the horizontal and perpendicular lines for a more symmetrical image. For sharp images, one should begin with using a sharp lens, use the proper settings and make sure that the auto-focus point is on the target. If you've done all these things and yet your images still seem a little softer than you'd like, you can enhance details by using the sharpening and detail slider in your software of choice. If you plan to export and show your image at full size, take care not to over-sharpen the subject. Excessive sharpening can introduce unwanted artifacts such as noise and jagged edges around your subject. These artifacts will probably not appear if the image is exported at a smaller size, but you should still consider using a bit of restraint. Programs like DxO PhotoLab and Adobe Lightroom give you extra control by allowing you the ability to sharpen either the entire photo, or just parts of it by using a brush tool, or a filter. In the example below, I used DxO PhotoLab Elite to sharpen the image. Unlike Lightroom, it does not introduce unwanted noise and helped me reveal the fine feather details of this egret. Shooting in low light (when flash is either not allowed or not available ) can be challenging to the photographer and the camera sensor. Even some of the best and most expensive cameras struggle to take noise-free images in low light, especially when one must use a fast enough shutter speed to keep motion blur at bay. The only way to fight back is to use a wide aperture lens, make sure not to underexpose, shoot in RAW, and use post-processing software to tame the noise. Different programs handle noise in different ways. Some are better than others. All of them will certainly cancel the noise, but not all of them can also retain the fine details in the process. At this time (2018 ) I find that DxO PhotoLab Elite does the best job of both getting rid of high ISO noise AND maintaining fine details. It is not perfect in every situation, but it will work well-enough in most. "Wallpaper" Bojnice Castle, Slovakia | Nikon D750 + Nikkor 18-35mm f/3.5-4.5G | DxO PhotoLab Elite using "Prime" noise reduction. De-noising comparison between the Original RAW, DxO PhotoLab Elite "Prime", Adobe Lightroom Classic and Nikon's Capture NX-D. If you decide to try DxO PhotoLab Elite and you'd like to test their noise reduction capabilities, you can download my custom high ISO profiles below. These will be very effective with just about any camera RAW file you are using and only get better if you're using a full frame sensor. I spent some time fine-tuning these settings to create a blend between less noise, plenty of detail retention ( if you have the proper DxO lens profiles installed ) and as few artifacts as possible. These two profiles should be a starting point in regard to everything other than the high ISO noise settings and sharpening. You may want or need to adjust other color, contrast, white balance and curve settings to your liking depending on the individual photos. Maybe you've noticed that some of your wide angle or back-lit high contrast images might contain blue, green or purple outlines around your subject. These might appear either throughout the image, or just around the corners. Some lenses suffer from "CA" more than others, but luckily this is a problem that can be easily fixed in most post-processing programs. In my experience I find that Adobe Lightroom does the best job at removing CA, but other programs are also quite capable. DxO PhotoLab Elite will do best if it happens to have the lens profile. For lenses without a profile this will be more challenging, but can also be eliminated. The example below was taken with a Nikkor 85mm f/1.8G. While a very sharp and great lens, in high contrast situations it can produce some unwanted CA. I was easily able to remove the purple outlines in Lightroom Classic, using the "Defringe" slider. If you're a portrait photographer, touch-up software can come in handy when your friends, family or clients request that you make them look a little more glamorous. Blemishes and skin imperfections can be touched up with a number of different software, but programs such as Portrait Professional, SkinFiner and PT Portrait are designed for this specific purpose. They make it much easier not only for beginners, but also for professionals who need to save a little bit of time by having software do most of the hard work for them. The software allows you to not only repair skin without sacrificing the fine pore details, but also slim the face and nose, increase the smile, make eyes appear larger, whiten teeth and even apply make-up. The new Portrait Professional 17 software is also able to replace backgrounds and adjust the direction of lighting. With all these options, it is easy to get carried away, so do be careful not to change your subject's appearance so much that they no longer look like themselves. It's always important to get the photo 'right ' in-camera and use the software for minor changes that cannot be achieved through proper lighting, setting and lens selection. The example below was processed using PT Portrait. I was able to select specific problem areas and touch them up without affecting the rest of the image. I brightened her face and eyes, I brushed away a few blemishes and sharpened her eyebrows. Don't you just hate it when you have the perfect landscape in front of you, but some unwanted element made it into the frame? Whether it's a fly, some rusty pole, or a person walking through your perfect beach photo, software can help you eliminate these offending objects. Some programs are better at this than others and I find that Adobe Photoshop CC and Adobe Lightroom Classic have the best "clone" and "heal" tools currently available. While Lightroom Classic offers a pretty good clone/heal tool, Photoshop CC is by far the best at this task. The "content-aware", "create texture" and "proximity match" tools offer a lot of control over the way they fill in the space you want to clean up. While the goal is to always get the composition right in-camera, sometimes there's not enough time to do so and can't be helped. Cropping will certainly reduce the IQ of the image, especially if a less-than-quality lens is being used, or if high ISO noise is an issue, or if the camera we are using doesn't have many megapixels to begin with. We want to avoid all of these hurdles to the best of our abilities, but if you need to crop, many programs will allow you to do so non-destructively. Cropping is not always a bad thing. For those of us who only display our images online, the difference in IQ is negligible. Cropping can also be a way to explore different compositions and learn from them for future situations. As good as today's cameras are, the Auto White Balance is not always accurate, especially when artificial lights are thrown into the mix. Ideally it's best to carry either a gray card or an exposure disk to help you set a custom white balance, but the reality is that most of us either don't take the time, or don't have the time to do so. Having the correct white balance is important, because it has a very high effect on the atmosphere of the scene and the colors of your subject. For example, it can ruin the photo by making your subject's skin too green, or too blue. It can eliminate any warmth from the scene, or add too much. If you shoot JPEG, it is a little more difficult to reverse this problem, but if you shoot RAW, it is possible to set a custom white balance after the fact in PP software, and recover the proper hue without any loss of quality. Though the example below could go either way, the lights in the restaurant made my meal look a bit too yellow. To fix the white balance, I selected the white balance color picker tool in DxO PhotoLab Elite and I clicked on the white plate. The software automatically transformed all the white areas to their proper hue. Whether you share your photography online or in print form, a good monitor for post-processing is a must. Imagine you've spent half an hour processing your beautiful landscape, you're eager to share it with your photographer friends, you post the image and they say; "Wow, beautiful scenery, but it's so dark! You should make it brighter", or "Nice work, but the sky looks way too purple". If these sentiments are echoed by many others, your monitor may need calibration, or an upgrade. If you care about color accuracy, make sure to purchase a monitor with high Adobe RGB and sRGB accuracy. If you're really serious about your photography, for even more precise results (especially for printing ), it may be a good idea to invest in a monitor calibration device as well. The reality is that millions of people use thousands of different types and brands of monitors (some good, some bad), which means that even if you take the time to color-correct your images, some of your audience will likely see your photos differently than you. That being said, if you care about the quality of your photographs, you will want to know that you are getting the most out of your files and will need a quality screen to work with. Not only will you produce better results, but you'll actually enjoy working on your files! They'll look great. Is it Wrong to Manipulate Photographs? Arguments have been made that photo manipulation is "bad". In some cases it can be argued that it is wrong (such as cover girls being airbrushed to impossible beauty standards, or the news media misrepresenting reality by using manipulated photographs), but if you ask me, there is nothing wrong with using software to either help enhance, or fix certain aspects that couldn't be fixed or accomplished in-camera. The truth is that it's been done by photographers as far back as the beginning of the film era. From multiple exposure images to cutting and pasting film, photo manipulation is not new or exclusive to the digital format. If you're the type of person who feels that the photograph should be perfect straight out of the camera, all power to you. Just know that you are at the mercy of the camera manufacturer who developed the default in-camera software to process your files for you. There is nothing wrong with being happy with those results, but if you want to take more control, using software such as Lightroom, DxO PhotoLab, or Capture One Pro will give that to you. There is also an artistic merit to manipulating photos. With RAW files being so malleable today, the possibilities are many. You are free to either capture reality as it appears before you, or you may want to enhance it and create something even more beautiful. If you decide to go for it, keep in mind that these programs will be most effective with RAW files and it may take you months and many hours of use to get to know them. As these programs are updated, new features are added, or existing features are improved. Shooting RAW ensures that you can go back to older files and re-process them, giving you the ability to save the ones you thought were hopeless. I personally enjoy trying these new programs on some of my oldest RAW files and seeing the improvements along the way. If you'd like to give it a try, below are links to some of the software I mentioned throughout, but you don't have to limit yourself to this list. There are many others out there that I have not mentioned. All of these programs offer free 30 day trials. Trying before buying is the best approach.